Howard Carter, the famous archaeologist who discovered King Tut's tomb, had little formal education. 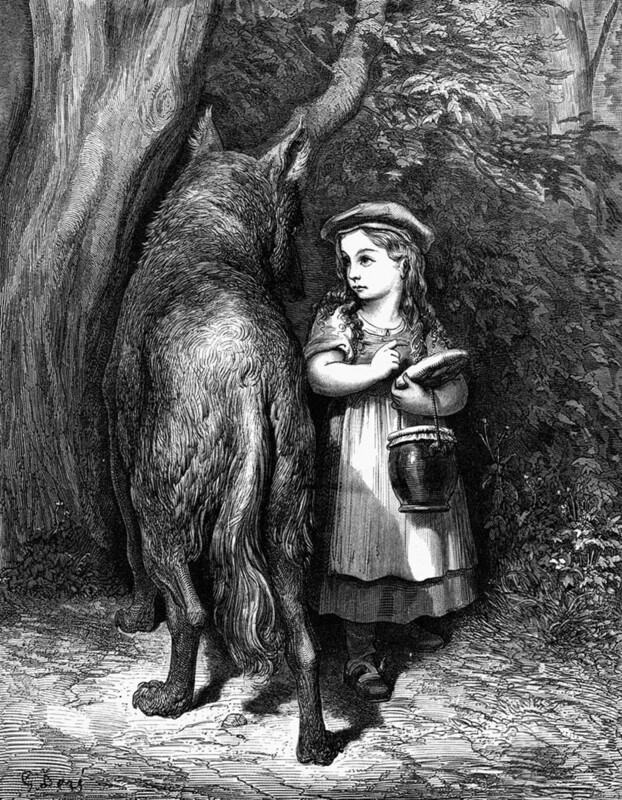 His principal study was that of art since his father was an artist and illustrator. He was born in Kensington, London on March 9, 1874, and the youngest of eight children. Although he grew up in Swaffham, which was north of Norfolk, England. He was a very talented artist, but he wanted something different out of life. He first stepped out into the field of archaeology in the fall of 1891, where he began his career with the Egyptian Exploration Fund as a tracer, which means he copied drawings and inscriptions on paper for further studying. He was only 17 years old at the time. He proved to be hardworking and faithful to his work. This led him into 31 years of digging and discovering before he found many treasures including one of the most valuable treasures ever uncovered - King Tut's tomb. Howard Carter worked on his first project at the age of 17 in Bani Hassan, which was the gravesite of the Sovereign Princes of Middle Egypt during 2000 B.C. He was not the head archaeologist, and was responsible for recording and copying the drawings on the walls of the tomb. This was a good task for him, due to his studies in art. His passion for archeology grew through this project. While working as a tracer, he would work all day long, only stopping to sleep inside the tomb itself. He went on to work for Flinders Petrie, who did not have confidence in Carter's ability as an excavator. Petrie was a well-respected archaeologist; therefore, his opinion would have meant quite a bit to Carter. Instead of being discouraged by this opinion, Carter proved him wrong. Carter found many important finds in El-Amama where they were digging. Although he continued to sketch many of the more unusual artifacts found there, Petrie began training him to be an archaeologist as well. One man who did have confidence in him was George Edward Stanhope Molyneux Herbert, the fifth Earl of Carnarvon, also known as Lord Carnarvon. Although he was the principle excavator, after having an accident in a newly invented machine - the automobile, his health began to fail him. He knew Carter would be able to accomplish a lot more than he could due to his failing health. He then appointed Carter to lead the excavations. Due to Carter's hard work, he was appointed Principle Artist to the Egyptian Exploration Fund, where they began excavating at the burial place of Queen Hatshepsut. The knowledge he acquired during this project helped him earn respect, and was eventually offered the job of First Chief Inspector General of Monuments in Upper Egypt. He was placed in charge of the excavation along the Nile Valley. Carter's most famous find was one that he was uncertain truly existed. Fortunately for him, and all of us, Lord Carnarvon supported his belief that the Valley of the Kings still held an undiscovered tomb, despite that all former excavators abandoned the area because they believed nothing else was left to be discovered. Carter had been working for 31 years as an archaeologist in Egypt when he finally uncovered the legendary tomb in November 1922. He had decided this would be his final season as an archaeologist. Four days into his final season on November 4th, he uncovered a step that had been cut into stone. By the following day, they had found eleven more, which led to a blocked entrance. Even in his writings, he seemed certain he was stumbling on a big find noting it to be from the Eighteenth Dynasty. He hoped it would be significant, such as a tomb of a king. Little did he know what was coming. Due to the preciousness of the find, he had to contact Lord Carnarvon. To protect it, he buried the steps and set up guards until he was allowed to continue. On November 23rd, Carnarvon and his daughter, Lady Evelyn Herbert arrived, and his team was allowed to proceed. This time they uncovered a total of 16 steps and a door. They then noticed that the door had been broken through, which was most likely the result of tomb robbers, but the robbers attempted to cover it up by resealing the tomb. The resealing of the door meant that the tomb was most likely not empty. It would be quite a while before he would realize this was, in fact, King Tut's tomb, which had been left undisturbed for 3,300 years before finally being uncovered. To read Carter's transcripts, you would realize how exciting this venture was. Those few steps led to way more than they ever expected. 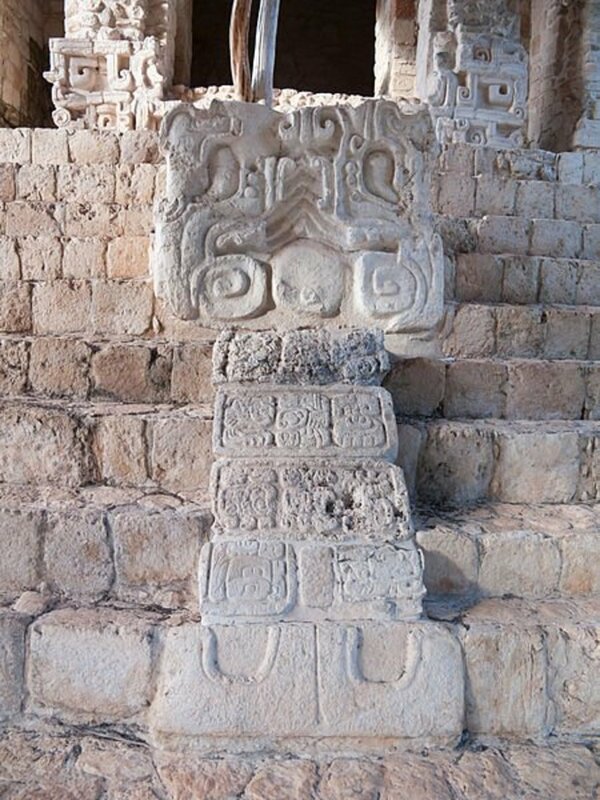 Once they uncovered the steps a second time, they removed the door, which gave way to a 26-foot-long passageway filled with limestone chips. Beyond that yet, another door was found almost identical to the first. They began to doubt their first instinct about it being a tomb at this point but knew it would be a rare find whatever lay ahead. Behind the second door, was the antechamber that contained strange animals, statues, gold chairs, couches, boxes, and other treasures. On the right wall there stood two life-size statues of King Tut, acting as guardians to yet another door, which led to the Annexe. In the Annexe, everything was scattered about. Since evidence revealed that the tomb had been raided twice (once occurred before the door was sealed, while the second time after, which only allowed for smaller items to be removed) he assumed that the officials had attempted to straighten the Antechamber, but left the Annexe alone. In order to get to the door between the statues, they needed to empty out the room. By this point they had to remove things very carefully in order to preserve every last find, documenting everything with sketches, photographs, and numbering details. This took much care and has revealed so much to us about Egyptian history. Carter hired many specialists as this was too great of a project for himself. 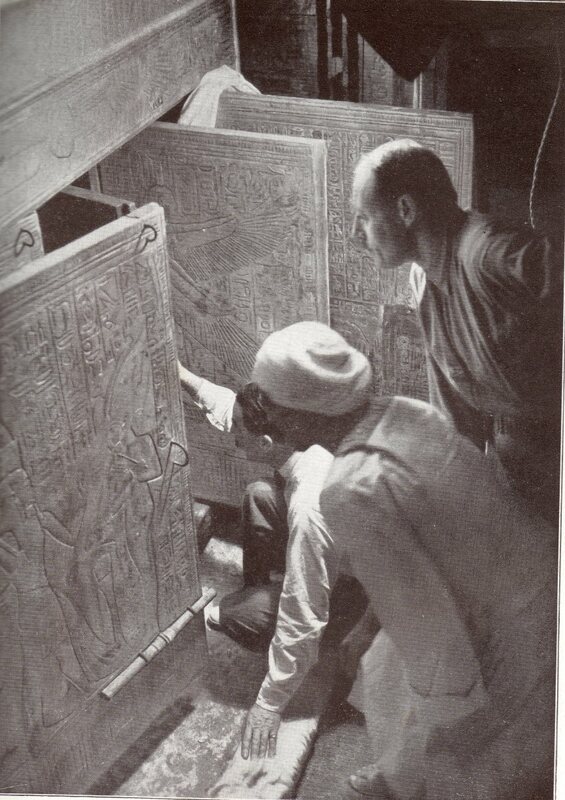 On February 17, 1923, they finally began dismantling the door between the statues to get to the burial chamber. In the Burial Chamber stood a shrine that was over 16 feet long, 10 feet wide, and 9 feet tall. The walls surrounding the shrine were plastered and painted yellow, unlike the other walls of the tomb that were just plain rock. Once they broke into the room, they learned that this had been just an outer shrine, with four shrines in total. It was not until the fourth shrine was taken apart when they found the king's sarcophagus, kind of like a coffin but much fancier. Once the sarcophagus was opened a coffin that was 7 feet 4 inches in length was revealed. It was quite fancy. It took a year and a half before they were able to open this coffin. This revealed yet a smaller coffin inside, then a third one made entirely of gold inside that one. 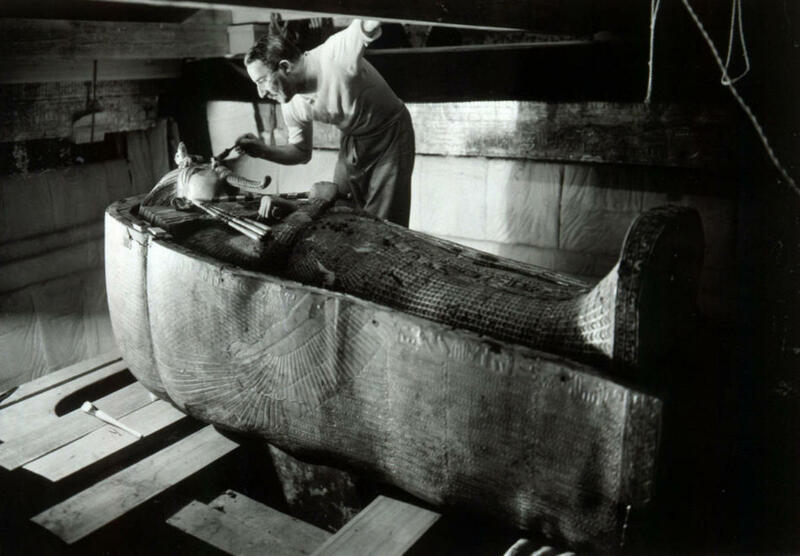 Inside the third coffin was the mummy of King Tut. It was not as well preserved as they would have liked, nor was the things within his wrapping, yet still one of the most priceless findings ever found in Egypt. Because of the dedication of Howard Carter, we have been given a rare gift of knowledge about the history of the Egyptians. 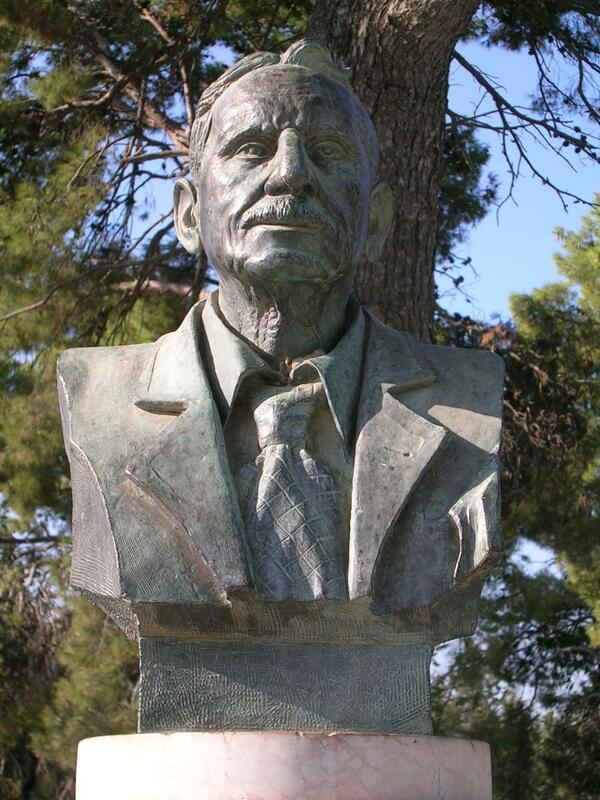 He is one of the most notable Egyptian archaeologists there ever was, because of his rare findings. 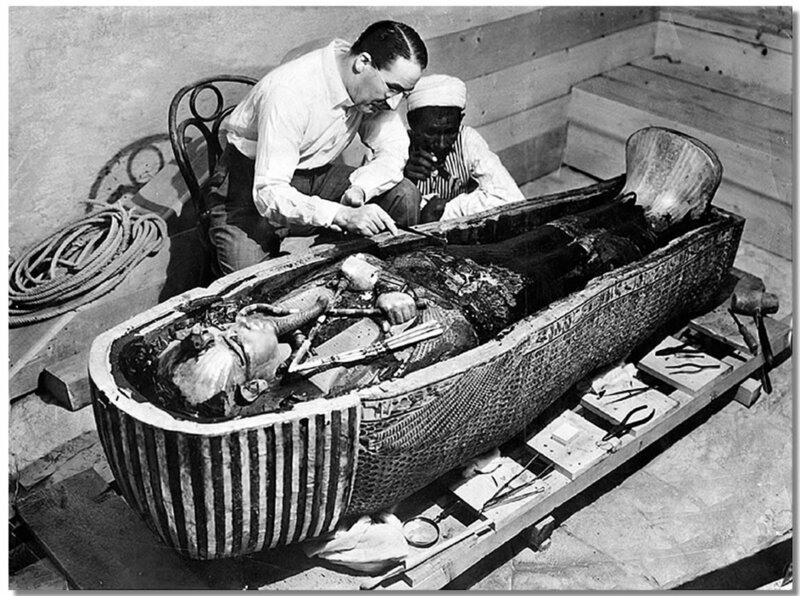 "Archaeology - Howard Carter &The Tomb of Tutankhamun." Howard Carter Archaeologist Tomb of Tutankhamun Archaeology. Accessed March 27, 2018. http://www.age-of-the-sage.org/archaeology/howard_carter.html. Rosenberg, Jennifer. "Get the Full Story and Learn How King Tuts Tomb Was Discovered." ThoughtCo. Accessed March 27, 2018. http://history1900s.about.com/od/1920s/a/kingtut.htm. Who was with Howard Carter when he found the Tutankhamun's tomb? That is an excellent question. I have been unable to find a clear answer as to who his crew was. I read "his crew" or "his workmen," with no clear naming of who these workers were. Without them, he would not be well known. I did find a picture that listed several who played a part in it, but I am unsure to what extent. Their names were named as follows (unfortunately not all were given full names) Mr. Luce, Hon R Bethall, Mr. Callender, Lady Evelyn Herbert, Howard Carter, Lord Carnarvon, Mr. Lucas and Mr. Burton. I do know that Lord Carnarvon sponsored the trip. I wish there was a complete list, as they all played a great role in the success of this mission. I definitely see your point Majidsiko. I have actually not thought of it in that way, but there is a part of what you are saying, which is correct. 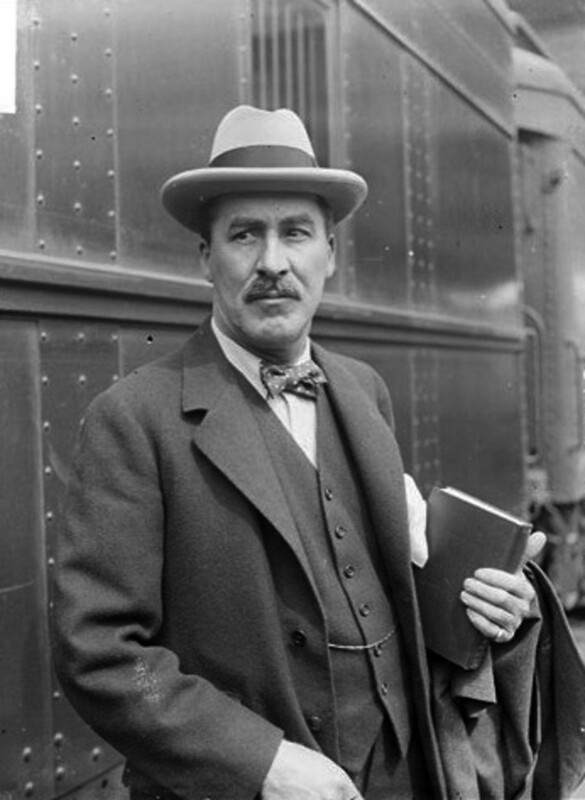 This is an excellent mini biography about Howard Carter. I totally agree with Dolores that his story would make a wonderful movie. I think it is safe to say that Howard Carter serves as inspiration to the best. Nice to read and a beautiful smile carter is having in the picture. I find Carter's whole story absolutely fascinating. I'm jealous! I so would love to participate in an archaeological dig. Nice hub on the story behind the story on this amazing historical find! There really is something so glamorous about King Tut's Tomb. He was a young king, and young when he died, over 5000 years ago. In my mind, he was an Egyptian Alexander. Howard Carter's story is also very interesting. He was a dedicated man, and it paid off. That happens sometimes but not always. I can only be glad it happened with Howard Carter, and this lost Egyptian history became found once more. How nicely you have narrated everything? Kudos! Great Hub. Just wondering if theses tomb should have been opened in the first place. 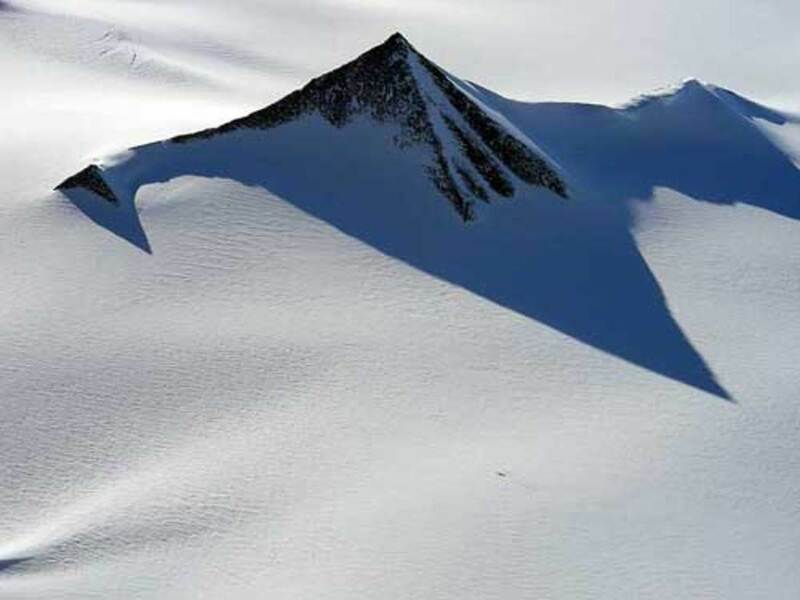 The kings meant them to be sacred resting places. Imagine your coffin being opened and your body displayed in a Museum a few thousand years from now. We learnt a wealth of information, but it just doesn't feel right somehow. I love the story of Howard Carter and the discovery of the tomb of King Tut. Wouldn't it make the most wonderful movie? There is a beautiful magic in the moment when they break into the tomb and Lord Carnarvon asks "can you see anything? ", Carter replies with the famous words: "Yes, wonderful things." This could be a movie with all the exciting details you posted. I always enjoy learning a bit of history.